Those of the tourists, who enjoy the beautiful sights, often can be seen taking a walk along the cobbled Gurko Street, with cameras in hands. The houses in it, built during the 18th and the 19th centuries, raise amphiteathrically one above the other, reflected picturesquely in the river below. 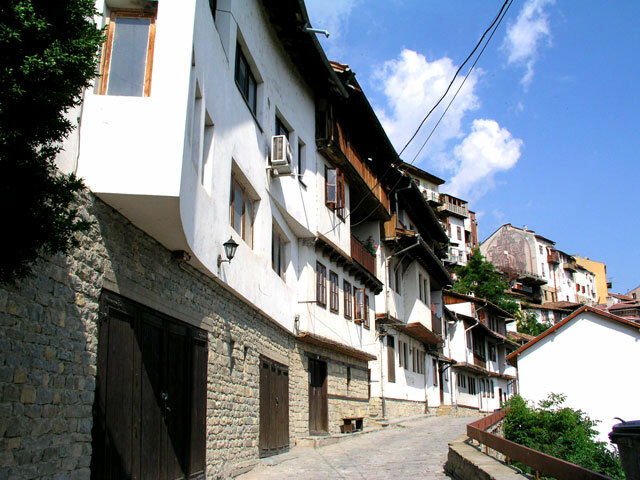 The street also offers an unequalled view towards the Monument of the Assens, the Veliko Tarnovo Hotel and the marvelous meanders of the Yantra River. The cozy coffee shops, little restaurants and the ethnographical exhibits in The Sarafkina House enrich the walk in Gurko Street and leave unforgettable impressions of beauty and romance from the town of Tarnovgrad. 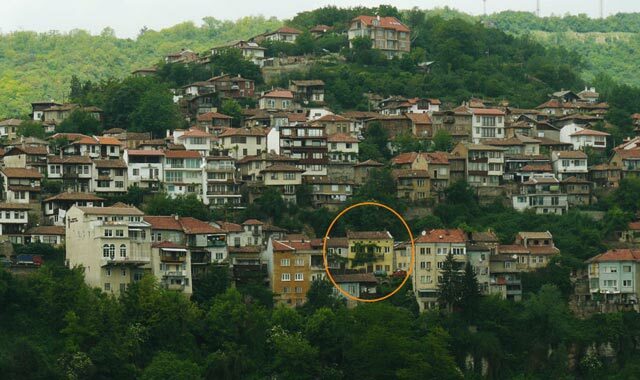 During the 19th century the Samovodene Marketplace was the central place of Veliko Tarnovo. Many craftsmen worked and offered their merchandise to the passers-by: blacksmiths, coppersmiths, gunsmiths, potters, confectioners, sausage- makers and others. A great part of the houses and the workshops in the street are fully restored today. The craftsmen, who work there in front of the eyes of the public, use the original technologies and tools. The numerous antiquarian and souvenir shops offer unique pieces of art or copies of ancient jewelry, guns, ceramics, and woodcarving. The modern picture galleries fit naturally in the atmosphere of the past. The restaurants in the vicinity offer wide range of typical Bulgarian dishes.